When Ruth Doan MacDougall was born in Laconia, New Hampshire, her parents brought her home from the hospital to a chicken farm in neighboring Belmont. Her father, Daniel Doan, had taken up chicken farming after Dartmouth, the idea being that he could both raise chickens and write. As he later joked, “I even thought the plan was sound!” The income wasn’t enough to support a family, and when Ruth was three the Doans moved to Laconia, where Dan got a job at a manufacturing company. Dan had to give up farming, but he didn’t give up writing. Ruth remembers falling asleep each evening listening to what she later would call “a literary lullaby,” the sound of his typewriter as he wrote at night. By the time she was six, she had written her first story and knew that she too was a writer. After graduating from Laconia High School, Ruth attended Bennington College from 1957 to 1959. She then transferred to Keene State College to join her husband, Don MacDougall. They graduated together in 1961. First published in 1973, The Cheerleader became a national best seller. It was a Book-of-the-Month Club selection, optioned by Twentieth Century Fox, and made into an NBC sitcom pilot. Since then it has been called a “classic” and “a favorite book.” Readers wanted to know “What happened next?” and thus the sequels have taken the characters from the 1950s into the twenty-first century. The Cheerleader was featured in the “Coming of Age” article in the January–February 2011 issue of Bookmarks magazine. It was one of five 1950s-era novels chosen; the others were The Catcher in the Rye by J. D. Salinger, All the Pretty Horses by Cormac McCarthy, The Risk Pool by Richard Russo, and A Boy’s Own Story by Edmund White. One Minus One was republished in 2013 in Nancy Pearl’s Book Lust Rediscoveries series. Since her father’s death in 1993, Ruth has been updating his popular guidebooks, 50 Hikes in the White Mountains and 50 More Hikes in New Hampshire. She edited his Indian Stream Republic: Settling a New England Frontier, 1785—1842. Ruth’s short stories have appeared in Redbook magazine and have been winners in the PEN Syndicated Fiction Project. 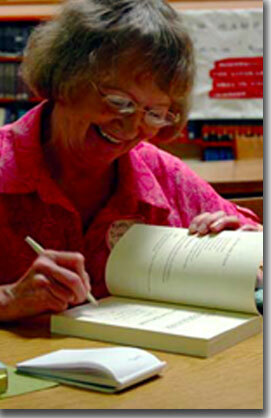 Her articles have been published in Publishers Weekly, the Washington Post, and New Hampshire Magazine. She has reviewed books for the New York Times Book Review, the Christian Science Monitor, Newsday, and other newspapers. She is a member of the New Hampshire Magazine Council of Advisers. Like her father, she is a recipient of the New Hampshire Writers’ Project’s Lifetime Achievement Award. In 2006, Keene State College gave her the Alumni Achievement Award. Ruth lives in New Hampshire.